Into the Garden. Photo by Jim Brozek. 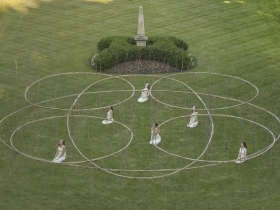 Milwaukee, WI (August 11, 2016)… Follow Wild Space Dance Company Into the Garden at Villa Terrace this September for one of its signature site-based events, in conjunction with artist Roy Staab’s environmental installation, Shadow Dance. 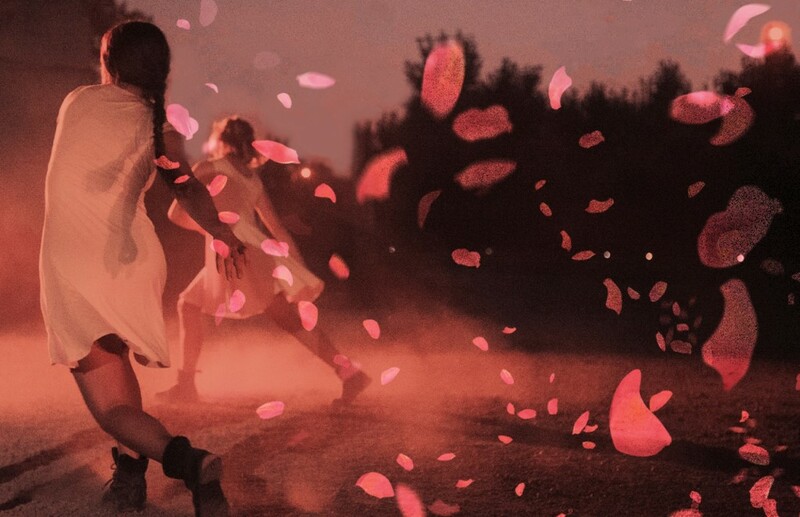 Against the dramatic backdrop of Lake Michigan at dusk, intimate dance sketches, musical interludes directed by saxophonist Nick Zoulek and tableaus will unfold in and around Shadow Dance, the Scaletta d’Aqua (water staircase), the terrace and garden arbors for an unforgettable evening. Into the Garden performances are at 7:15 p.m., September 8, 11, 13 & 14, 2016 at the Villa Terrace Decorative Arts Museum, 2220 N. Terrace. Into the Garden tickets are available for advance purchase only. No tickets will be sold at the door. Premium/pre-show tickets are $25, which includes a 6:45 p.m. pre-show tour of Villa Terrace. Show only tickets are $20 for general admission, $15 for students and seniors (does not include pre-show). Rain date is September 18. Tickets go on sale August 15 and are available by calling 414/271-0712 or online at http://www.wildspacedance.org. As part of the partnership with Wild Space, Villa Terrace will be presenting a special Closing Night Soirée on September 20 from 5:30-8:30 pm for Roy Staab: Nature in Three Parts. The Soirée will include a performance of Into the Garden. The night features a wine tasting, hors d’oeuvres, and cash bar with remarks from artist Roy Staab and Wild Space Dance Artistic Director Debra Loewen. A rain date is set for September 21. The cost is $50 per person with proceeds benefiting future exhibitions at the Villa Terrace. For more information on the Soiree, contact Villa Terrace at 414/271-3656 or visit http://www.villaterracemuseum.org. Into the Garden unfolds in three parts as the audience migrates from the Villa entrance to the Renaissance Garden. The journey begins with brief lyrical dances in the Mercury Courtyard as the audience enters the Villa. Performers will lead the audience from the Great Hall to seating on the Scaletta d’Aqua for a panoramic view of moving tableaus through and around Shadow Dance. As the audience moves into the Renaissance Garden, they can choose their own path to encounter repeating vignettes by dancers and musicians in the arbors, the Secret Garden and Shadow Dance. The finale will activate the Scaletta waterfall and illuminate shadow movements on the Terrace. 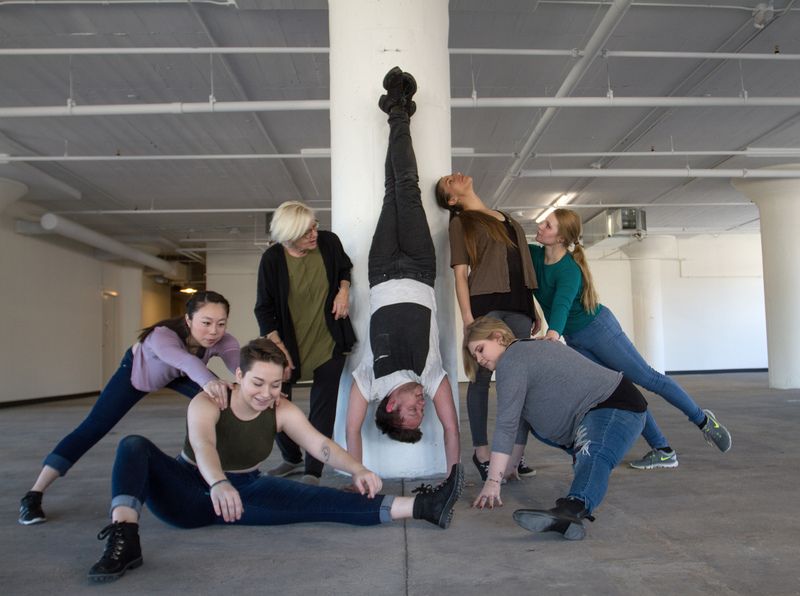 Into the Garden features Wild Space dancers, UW-Milwaukee student interns and musical improvisations by Zoulek for cello, vocal, percussion and saxophone. 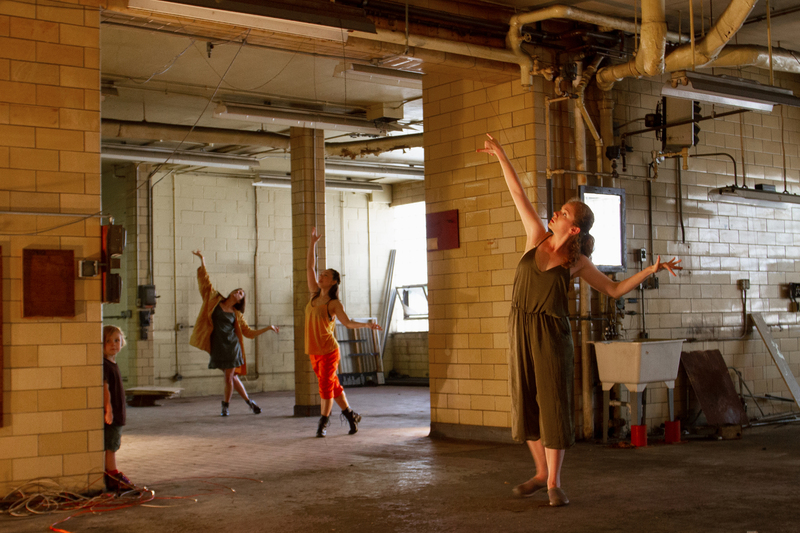 The performance and related outreach programs are supported in part by grants from The Brico Fund, The Greater Milwaukee Foundation, The Herzfeld Foundation, and from the Milwaukee Arts Board and the Wisconsin Arts Board with funds from the State of Wisconsin.